So the ZTE MF980 MiFi 4G could cover fairly wide areas, and it’s good to take as a wireless partner when traveling. We do not have precisely the supported aggregates of bands in 3 CA, we look for the info, but with the bands supported, we remain optimistic for a support in France (B20 + B7 + B3 or B28 + B7 + B20). 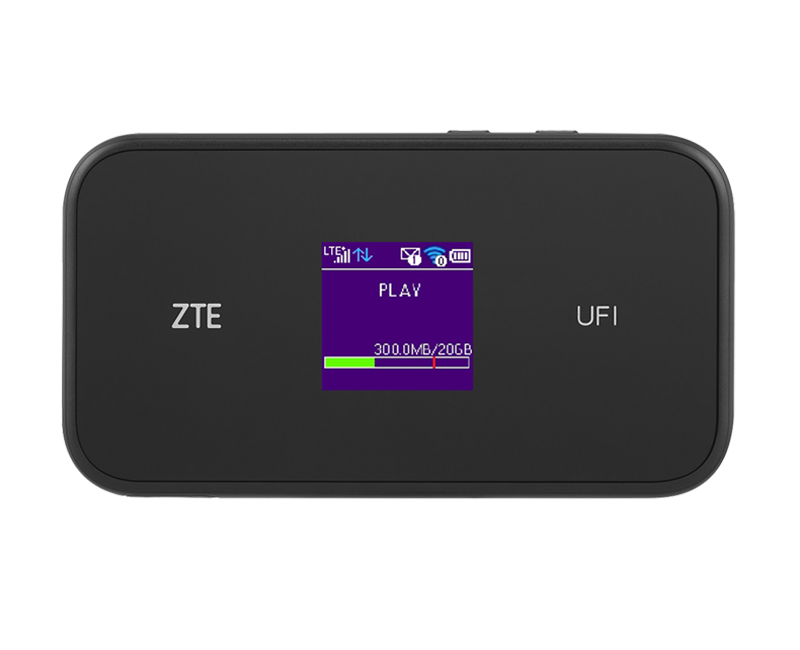 The ZTE MF980 4G hotspot also offers Wi-Fi to the 802.11 ac standard operating in simultaneous dual band 2.4 GHz and 5 GHz. Up to 32 simultaneous users can connect for internet access. And it is of course compatible with 802.11b/g/n and offers a 2 × 2 MIMO technology. Equipped with a 2200 mAh battery, it is given for a battery life of 10 hours by the manufacturer. The 1.44-inch TFT color display allows you to view the usual information, such as operator, signal strength, connection type and level, battery level, number of users connected, and data consumption. The small size of the ZTE MF980 fits easily in the pocket or in a bag. The setup of ZTE MF980 could be done through the web interface, or the Android application (or IOS) ZTELink APP. 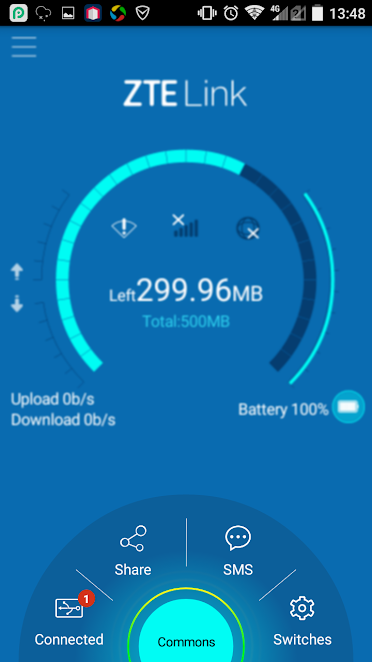 From the APP, user can do the settings for the mobile 4g router and can see the information about consumed data and battery status clearly. 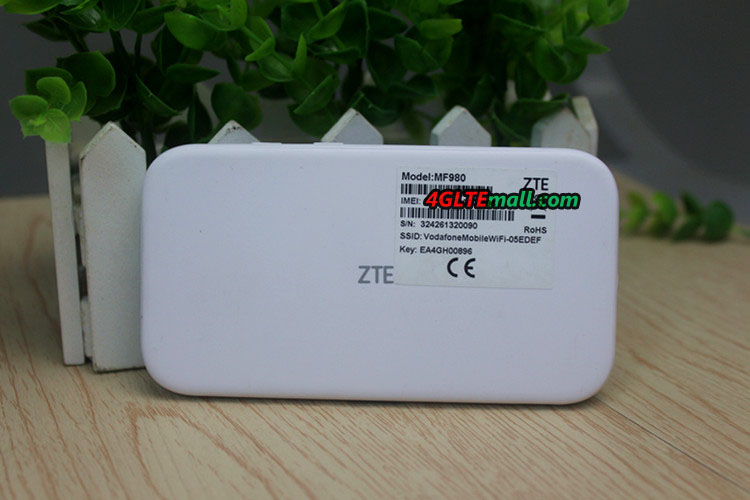 In the market, ZTE MF980 is the first LTE cat.9 mobile hotspot. And we know another model Netgear Aircard 800s which also support LTE category 9. We would take further test between the two LTE cat9 mobile hotspots. With the development of the LTE technology and deployment of LTE-advanced networks, the manufacturer offer new 4G mobile gadgets to meet the market required. 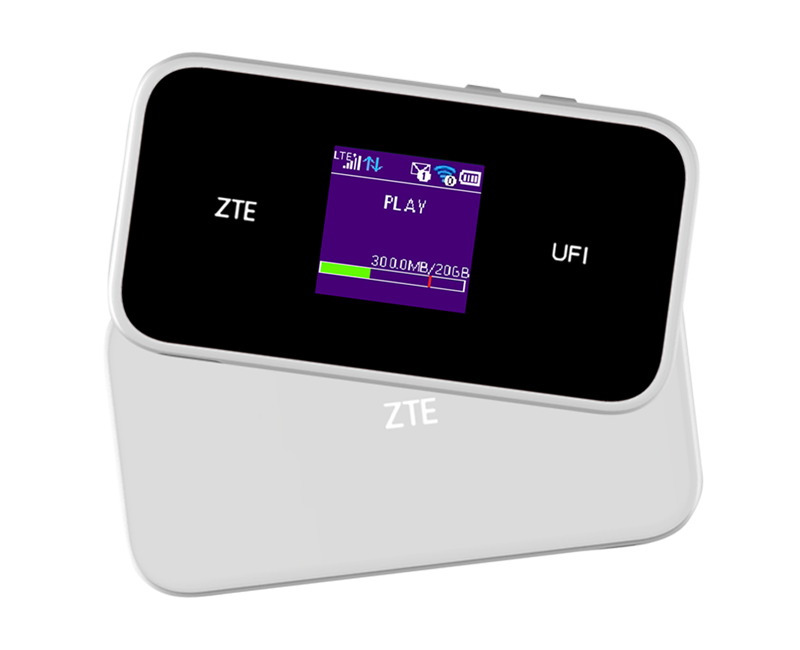 The ZTE MF980 Hotspot is a 4G mobile hotspot that offers LTE Category 9 carrier aggregation technology. 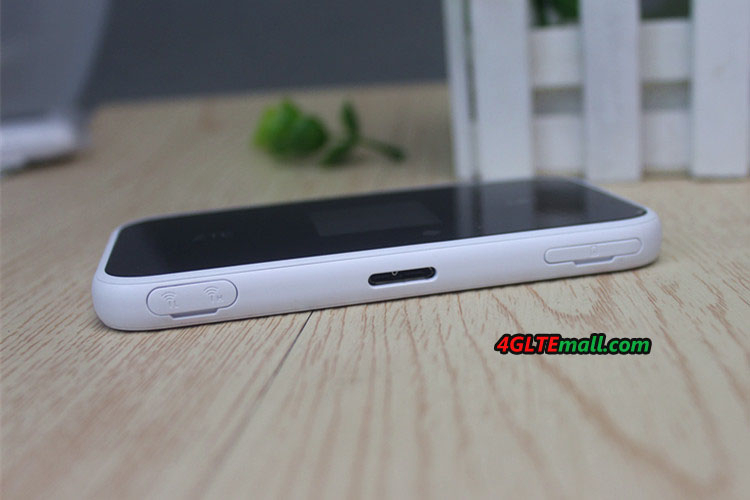 The specifications for ZTE MF980 makes it’s dominates in the mobile hotspos in the market. For Europe area, the bands that concern in 4G are therefore B3, B7, B20 but also the B28 which supports the 700 MHz of Free Mobile. 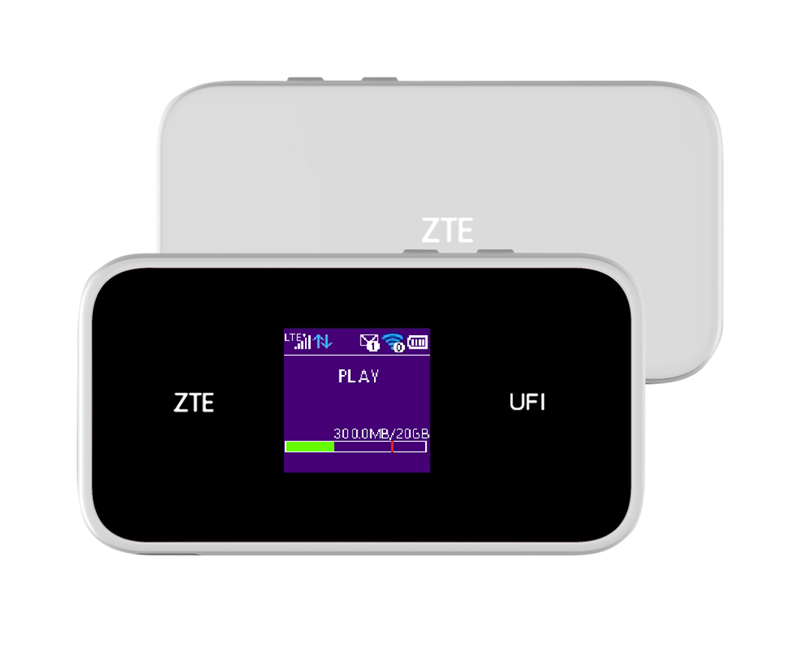 A fairly wide coverage therefore, makes the ZTE MF980 mobile hotspot a good partner for traveling. We do not have exactly the carrier aggregation of supported 3 bands, but we remain optimistic for a support in France (B20 + B7 + B3 or B28 + B7 + B20). The ZTE MF980 also offers Wi-Fi 802.11 ac running dual-band 2.4 GHz and 5 GHz simultaneously. And up to 32 users can connect to the MF980 hotspot for internet access. 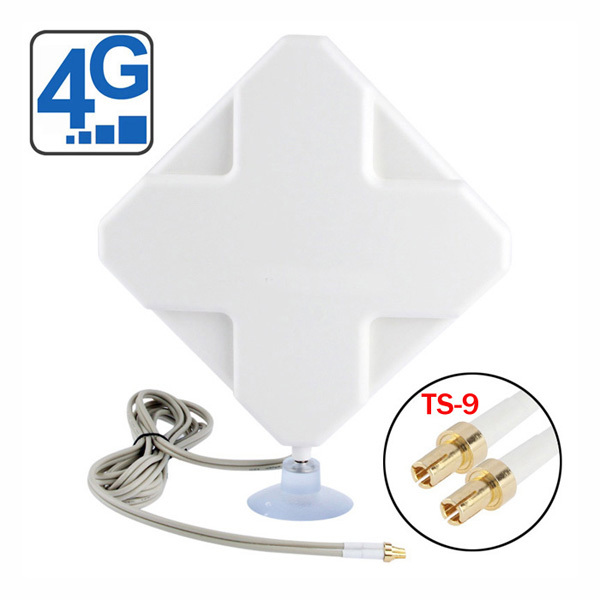 It is of course also compatible with the 802.11b/g/n and it also offers a 2 × 2 MIMO technology. The 1.44-inch color TFT screen allows you to view the usual information such as the operator, connection type and level, battery level, number of users connected and data consumption. It has a micro-USB port and a slot for micro-SIM. Equipped with a 2200 mAh battery, it can keep working for up to 10 hours according to the manufacturer. It is compatible with the Android application (or IOS) ZTELink APP. With the support of LTE Cat.9 and 3 band carrier aggregation, ZTE MF980 supports fast download speed to 450Mbps while currently the LTE Cat.6 up to 300Mbps is the mainstream. Up to 32 wireless users could access internet with the ZTE MF980 and large battery of 2200mAh, which makes MF980 a powerful partner for outdoor activities. The possibility of connecting external antenna and control via ZTELINK app is also very useful for operation. Actually, there are many LTE cat.9 and cat.11 mobile hotspots in the market now, such as the Netgear Aircard 810s hotspot etc. They already get great fame from the end-users. We suppose the ZTE MF980 would also be a good star for LTE-A networks.